The name Stephen King is surely not foreign to most audiences. One of the most renowned yet also most challenging authors of all time, King is known for his complex novels of often formidable length, of which over 50 exist, that tackle all sorts of unique themes across all kinds of genres - though of course, King has usually been branded the master of horror, with his 1988 novel It undoubtedly being one of his most famous horror works. Telling the story of an evil entity haunting a small town every three decades, It found itself originally adapted for television in 1988 with an iconic lead performance by Tim Curry, and now enjoys it's first theatrical release with one Bill Skarsgard taking on the lead role of It it...uh, well, itself. It's plot is simple enough to grasp but still has a lot of depth - the eponymous evil primarily appears in the form of a twisted clown named Pennywise, attracting it's preferred prey of young children, yet it's shapeshifting capabilities allow it to exploit the phobias of it's victims to break them down into more vulnerable states. The central victims eventually become a group of seven children who meet up through their less than renowned social status, dubbing themselves The Losers Club, who soon make it their goal to piece together the exact origins of the monster pursuing them and find a way to put an end to it's malicious actions. This narrative is both complex and heartfelt, capturing the emotions of the numerous characters nicely and developing them all with a refined attention to detail for the most part - the twists and turns we experience also make the story more engaging as it moves along, making this a horror film that relies on more than just scares to entertain the audience. 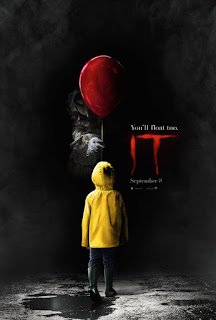 Undoubtedly the key highlight of It at first glance is Skarsgard as Pennywise - comparing him to the highly acclaimed performance of Tim Curry in the original would be crude considering their vastly different nature, with Skarsgard's interpretation being far more animalistic and monstrous than Curry's well spoken albeit sadistic evildoer. Either way, Skarsgard is a highly frightening foe, and the cruel, dark sense of humour the character adopts when haunting it's victims is nicely captured without loss of the overall fear factor. The design is just as compelling - perhaps a tad too blatantly creepy if Pennywise has a goal of attracting young kids, but still something stylistically dark and unique. 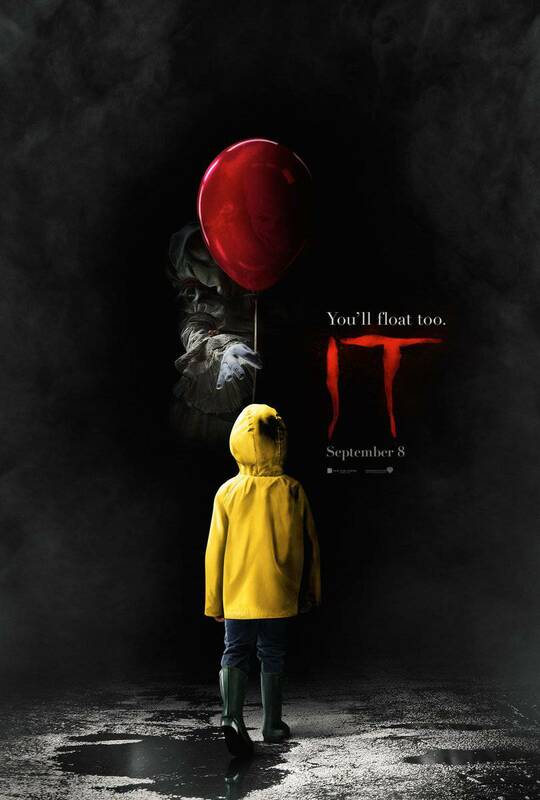 This, coupled with some impressive visual effects during some of the film's major scares as well as Skarsgard's superb acting, certainly renders Pennywise a thrilling foe from start to end. But it's not just Skarsgard who performs well - the Losers Club surely isn't an easy handful of characters to bring to life on the screen considering their age, but It has an impressive lineup of highly talented youngsters in the lead roles, namely Jaeden Lieberher who delivers an emotionally stirring performance absolutely masterful for someone so young. It's this high quality acting, alongside the fab visuals and sound design, that makes It such a chilling experience - yeah, some of it is a wee bit loud (especially in IMAX), but the many scares are thankfully far from cheap jumps. Perhaps a principle flaw does lie within the slightly bloated runtime and occasional jarring tonal shifts, with chills becoming chilled in some abrupt transitions, but an otherwise solid structure, talented cast, and well crafted scares make It a worthy adaptation of an iconic novel, and I'm certainly anticipating the next chapter come 2019.